We offer year-round shipping and we work hard to ensure our chocolate is delivered fresh and in good condition. Every package is treated like a gift, meaning it will be professionally packed and will never include a price tag. From October through April, we offer ground and express shipping options to all destinations in the United States and Canada. During summer months when the weather is warm, we only offer express options to minimize time in transit. When your package is ready to ship, you will receive an email with the tracking number so you can track the shipment and confirm its delivery. 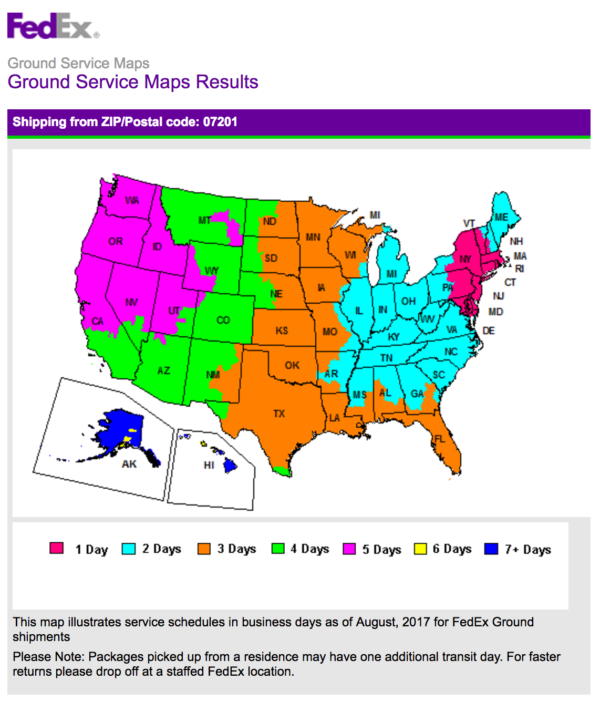 We use FedEx to ship to all destinations in the United States and Canada. Most orders ship within 24 hours unless a future ship date is requested. Chocolates may be in transit up to five business days depending on the service selected and the destination. Shipping charges are based on the weight of the package and the destination zip code. Ground Shipping: Allow up to 5 business days to receive the delivery. No Signature Required: All orders are shipped “No Signature Required” which means that if the recipient is not available to accept the package, it will be left on the residential doorstep as per FedEx policy. If you need “Signature Required’ service, please call us and we can add that service for an additional charge of $13.00 per shipment. Please note that we are not responsible for packages that are lost or stolen after FedEx has completed the delivery. Address Verification: We use a real-time shipping address verification during the checkout process. When you enter a wrong shipping address (such as a typo, a bad ZIP code, or just missing the suite number), the invalid address can delay the delivery or result in a delivery to the wrong address. Our Address Verification process checks the address using the USPS address matching system and displays the correct shipping address during checkout. If there are multiple matches to one address, it will prompt the shopper to correct the address before the order is completed. Select our Cold Box option when temperatures rise above 70°. We use special insulated boxes and/or cold packs to ensure your chocolates are temperature controlled during transit. For deliveries to warm weather destinations, we may hold your order a few days before shipping to ensure your chocolates do not sit in the FedEx warehouse over the weekend. Weather Delays: We are not responsible for delivery delays experienced by FedEx due to weather or mechanical error and are, therefore, unable to offer refunds for those reasons. Our stores can arrange for same day chocolate delivery in Manhattan (up to 96th Street), and parts of Brooklyn. We use a professional delivery service that takes great care to ensure your chocolates arrive in prime condition. Someone must be available to sign for the delivery when it arrives, otherwise your package will be returned and a re-delivery fee will apply. To place an order for same-day delivery, please call the store closest to your delivery destination. New York State sales tax is charged on all orders shipped to addresses within New York State. Sales tax applies to merchandise as well as to shipping charges. We ship chocolates worldwide, and we use USPS Express Mail International which delivers most parcels within 3 to 5 business days. Please note, for International shipments the recipient is always responsible for any duties, taxes, or customs fees imposed by the importing country (which are collected C.O.D. upon delivery). If you are sending a gift overseas, please take this into consideration, as unfortunately we are unable to add these fees at the time of shipping. We are also unable to offer refunds for chocolates that are damaged or delayed by International Customs – which is out of our control.